A New Jersey principal who donated stem cells to save the life of a boy he didn't know has died. Jamie Roth reports. 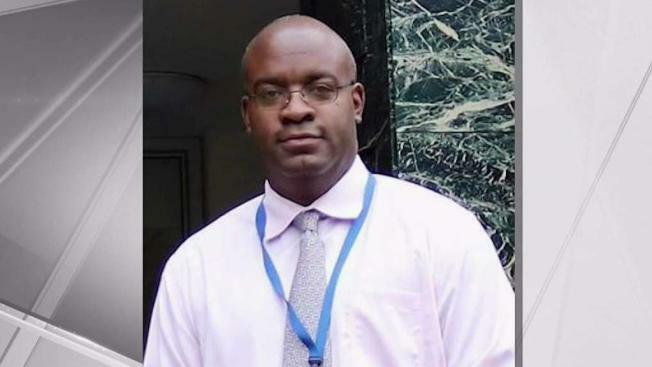 A New Jersey high school principal who agreed to donate bone marrow to a 14-year-old stranger in France died weeks after he lapsed into a coma during the procedure, his family said. The Westfield Public Schools Superintendent on Monday confirmed that Westfield High School Principal Derrick Nelson, 44, had passed away. In February, Nelson told the school's newspaper that he found out in October that he was a match for the unidentified French teen. Nelson underwent the typically low-risk donation procedure at Hackensack University Medical Center in February. His father, Willie Nelson, said Wednesday that his son went into cardiac arrest at some point during the procedure, but he didn't know any other details. He died Monday, according to the hospital. "He excelled at everything he did," his father said. "Everything he did in life was for a purpose." Nancy Radwin, a spokeswoman for Hackensack Meridian Health, said she couldn't comment on the cause of death or whether any bone marrow was successfully extracted. "This was a tragic outcome and we extend our deepest sympathies to the family of Dr. Nelson, to all of his students and their families, the community, his friends and colleagues whose lives he touched," Radwin said. Nelson, who had a 6-year-old daughter and was engaged to be married, didn't know the French teen but wanted to help nonetheless, he told the high school newspaper in February, before the procedure. "If it's just a little bit of pain for a little bit of time that can give someone years of joy, it's all worth it," he told the student newspaper. However, at his final physical exam on Jan. 21, Nelson was asked if he had sickle cell anemia, a blood disorder. "I said well I don't have sickle cell, but I have the sickle cell trait," Nelson told the newspaper. "[The doctors] said, 'Well if you have the trait, you can't do stem cell.'" Bone marrow donation is considered a low risk procedure. About 2.4 percent of donors experience a serious complication due to anesthesia or damage to bone, nerve, or muscle in their hip region, according to the National Marrow Donor Program's website. No details could be given about the teen's identity, diagnosis or whether he received any marrow from Nelson due to privacy and confidentiality obligations, according to Be the Match. "We deeply appreciate Derrick's willingness to step forward to donate, and we share our sympathies and condolences with his family," said Dr. C. Randal Mills, CEO of Be the Match. "Marrow donation is a selfless decision that helps save the lives of thousands of patients each year. ... we thank anyone who steps forward to donate and help save a life."